This one-of-a-kind wine is 100 percent estate grown from famed retired race car driver Danica Patrick’s idyllic Howell Mountain property, situated at 1,300 feet. Our organically grown Cabernet Sauvignon, Cabernet Franc and Petit Verdot vineyards face west and southwest and benefit from maximum sun exposure. 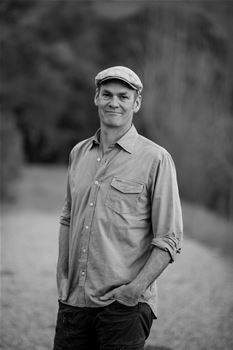 The inky, concentrated structure of the wine is indicative of winemaker Aaron Pott’s style, which is rooted in being true to the climate and vines. This wine has been aged in 100 percent new French oak for 20 months. “I’m not trying to make the biggest wine in Napa Valley," says Danica. "It’s not about the density of tannins and weight of the wine, it’s about beautiful balance and elegance. My wines are also about creating an experience." In 2007, Pott formed Pott Wine dedicated to producing wines from different distinct terroir in the Napa Valley and Huis Clos Consulting working with a limited quantity of noble producers including Seven Stones, Blackbird Vineyards, St. Helena Winery, Adler Deutsch Vineyard, Greer Wine, Martin Estate, Perliss and professional driver Danica Patrick’s new project Somnium. Discover the essence of the site and make a wine that perfectly expresses that site. We never concentrate, use additives and all the winemaking is organic.